Author’s Note: On February 26, 2018, the NLRB vacated its decision in Hy-Brand Industrial Contractors, Ltd. Please refer to the post dated February 28, 2018 for additional details on the current state of Browning-Ferris and the “joint-employer” test. However, this post will continue to be maintained for its discussion of the Boeing Company decision and the history of Hy-Brand. Thanks to National Labor Relations Board Chairman Philip Miscimarra, Christmas came early for employers this year. 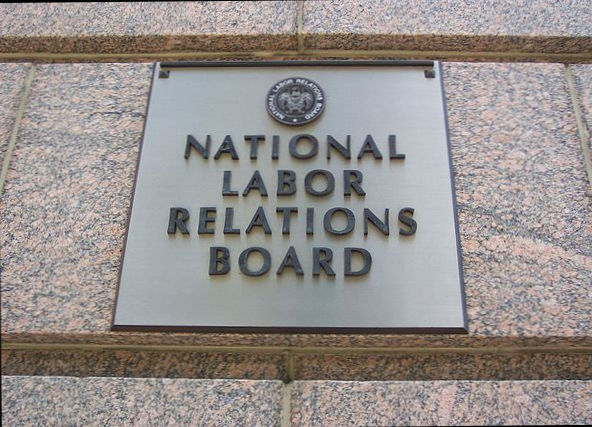 In what might aptly be described as Chairman Miscimarra’s “swan song” before leaving his post last Friday, the NLRB issued several landmark decisions undoing prior rules on a number of issues, including how “joint-employer” status is determined and how employee handbook policies are evaluated. Although the Board ultimately found that the two entities in Hybrand were joint employers even under this “new” standard, the Board gave employers guidance on the rule’s application moving forward, stating that “indirect” or “limited and routine” control over another’s employees (i.e. telling employees what work to perform, or where and when to perform it, but not how to perform it) will no longer expose a company to potential liability under this theory as it would have under Browning-Ferris. The same day it announced the Hybrand decision, the Board also decided The Boeing Company, where the Board reversed Lutheran-Heritage-Livonia: a 2004 decision governing the legality of employee handbook policies and holding unlawful any facially-neutral work rule that employees could “reasonably construe” as prohibiting protected activities under Section 7 of the National Labor Relations Act (including the right to collective bargaining, the right to self-organization, etc.). Wanting to “strike the proper balance” between employee rights and legitimate business justifications, the Board stated that two things will be evaluated to determine if a facially-neutral handbook policy could potentially interfere with Section 7 rights: (1) the “nature and extent of the potential impact on NLRA rights;” and (2) “legitimate justifications” associated with what the handbook policy requires. But the Board warned that Boeing should not be interpreted as allowing companies to craft “facially-neutral” rules intended solely to prevent union organizing and other protected activities. According to the Board, the Boeing rule focuses solely on the maintenance of facially-neutral policies, not their application. So even under Boeing, an employer may infringe on the rights of its employees if it applies a facially-neutral handbook policy in an unlawful way. Even with this caveat, however, the Boeing decision helps to focus attention back on a company’s justifications for implementing rules rather than how employees may view them, an area of grave concern under Lutheran-Heritage-Livonia. Employers nationwide certainly appreciate the parting gift, Mr. Chairman. Law clerk Andrew Lehmkuhl contributed to this post. Image by Geraldshields11, CC BY-SA 3.0.